Stuffed Peppers are found in all types of cuisine – Chilie Relleno’s are Mexico’s version, Stuffed Piquillo’s are Spain’s version, Dolma’s are the Mediterranean version, the list goes on. In America we stuff bell peppers with a variety of goodies from meat to cheese to vegetables; your options are endless for this easy to put together entrée. 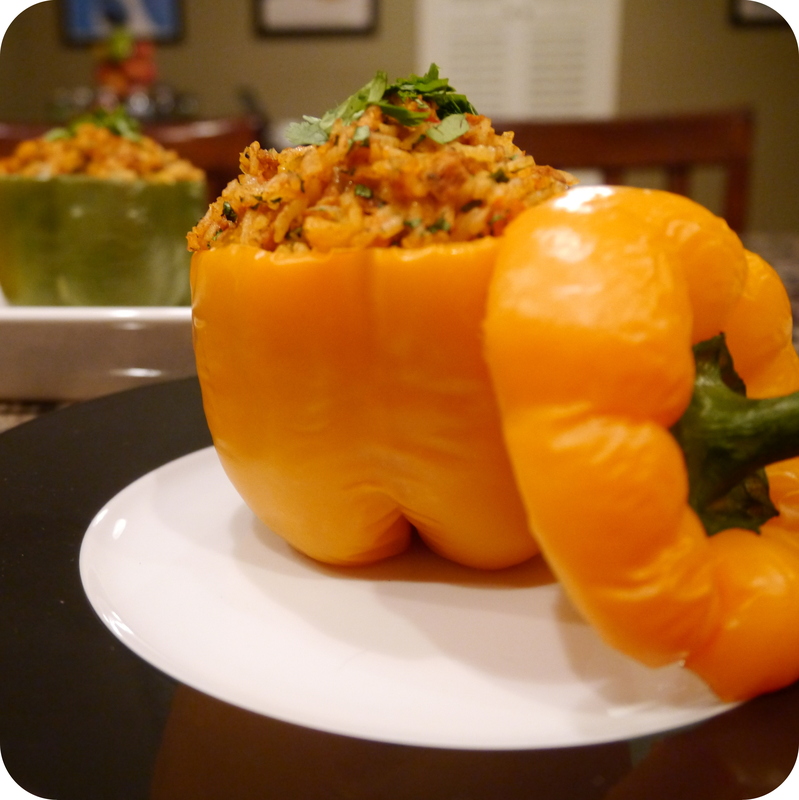 This week our Stuffed Peppers Face Off features a Vegan and Not-So-Vegan version. 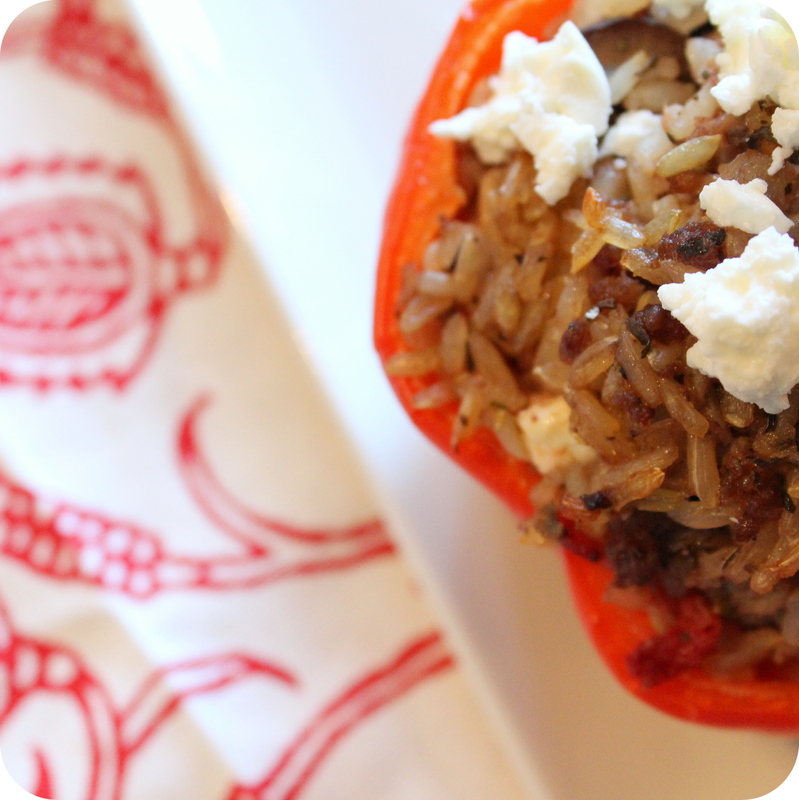 Morgan went with a Mediterranean theme and stuffed her peppers with rice, lamb, olives and feta. The Vegan version is a Mexican style stuffed with rice, Soyrizo and Mexican inspired spices. Enjoy!